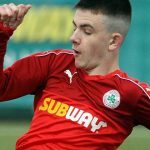 Cliftonville Chairman Gerard Lawlor has issued an update to supporters as the Club begins the process of appointing a new Manager. In addition to revealing the Reds’ interim management set-up and thanking former boss Barry Gray for his services, the Chairman also outlines the timetable that the Board hope to adhere to in the coming weeks as well as reinforcing the Club’s targets for the remainder of the 2018/19 season. I’m pleased to announce that Michael Press will take temporary charge of first-team affairs and will be assisted by Barry Johnston and Marc Smyth, with Goalkeeping Coach Damien McCorry remaining in his role. 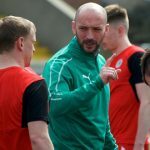 Michael is perhaps best known for a hugely successful and productive spell as Manager of Cliftonville Olympic and remains a highly respected figure around the Club. He will oversee training this week and, along with Barry and Marc – two former players who have since become part of the backroom set-up – will take charge of Saturday’s game with Glenavon. I want to place on record my sincere thanks to Barry for everything he did in his time at Cliftonville. He lived and breathed this Club for 20 months and neither his work ethic, dedication nor committment could ever be questioned. He led us to an Irish Cup Final last season, oversaw our qualification for the Europa League and actually leaves with a win percentage that compares favourably with any Manager in Cliftonville’s history. We had a brief discussion after Saturday’s defeat to Dungannon Swifts and there was no anger or animosity and, such is the measure of the man, he actually spoke to me this afternoon because he wanted to make sure that our incoming management team had everything they needed to take training this week. He and his Assistant Manager Harry Fay, who has also left the Club, worked tirelessly for Cliftonville and I think it’s only appropriate to acknowledge that and thank them for their considerable efforts – a sentiment I hope our supporters would echo as we move forward. The process to find a new Manager has already started but I can assure our supporters that we are determined to cast the net far and wide and there is no front-runner at this moment in time. 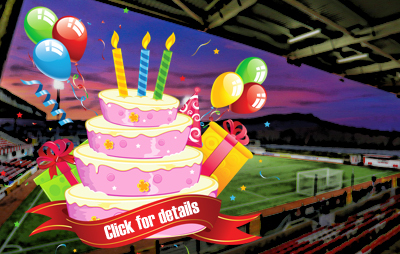 We are seeking applications, preferably by this coming Friday, January 25, and I would invite anyone interested to make contact with me via email (chairman@cliftonvillefc.net) – with an assurance that all communications will be received in, and treated with, the strictest confidence. We will then sit down as a Board next week to review all applicants and will, as ever, seek independent advice and guidance from outside the Club before making our next move in the process. I am well aware that it is not just on-field matters that have made things extremely difficult for our supporters of late. I know many of you will have gone to your places of work or recreation and faced some unwelcome questions and accusations about your Football Club, none of which you have necessarily been able to address and deal with as you might have wanted. I have heard and read a lot of criticism of myself and the Board and, while assuring our fans that I have considered all of it constructively, I would remind everyone that every decision we make is in the best interests of Cliftonville Football Club. We trust that you will appreciate that, on such sensitive matters, no decision is taken lightly and we are grateful for your continued patience and understanding. It’s clear that our Club’s enemies have enjoyed a field day of late and I value our importance to people as a Football Club, a family and a community. As you will know, I am in attendance at every match and welcome open dialogue with our fans – be they individual supporters or larger groups. I understand how frustrating these last couple of months in particular have been but you can rest assured that the best interests of our Club guide everything we do and I will be very happy to engage with our Members at our next scheduled meeting later this month. As disappointed as we all are with how the campaign has gone, I cannot and will not accept the suggestion that Cliftonville’s season is over. We are still in a very strong position regarding the Europa League Play-Offs but nobody at the Club is simply content to sit and wait until those games come around – there are League positions to be climbed, not least because of the importance of securing home advantage in the Play-Offs. I believe we have a very talented playing squad but it is undoubtedly one that has underperformed and has not done justice to themselves, our fans or our badge. I would implore our fans to come along to Solitude on Saturday, get behind ‘Presser’ and the team and show precisely what the Red Army are capable of. We need to drive Cliftonville Football Club forward and I believe that, with everyone pulling in the same direction, a spirited and united Cliftonville can make significant progress.